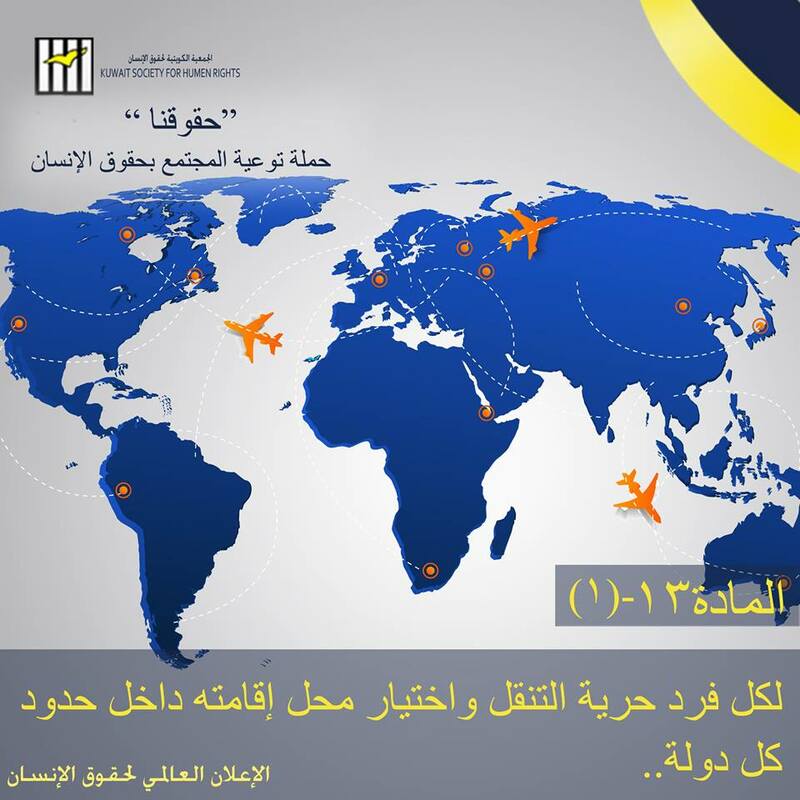 Article (1): Without prejudice to the travel ban issued by the competent authorities, every foreigner who does not hold a residence permit or whose residence has expired must leave the country during the period from 29/1/2018 until 22/2/2018 directly from any of the assigned ports, and the procedures are carried out at the ports needles of obtaining the approval of any other authority. 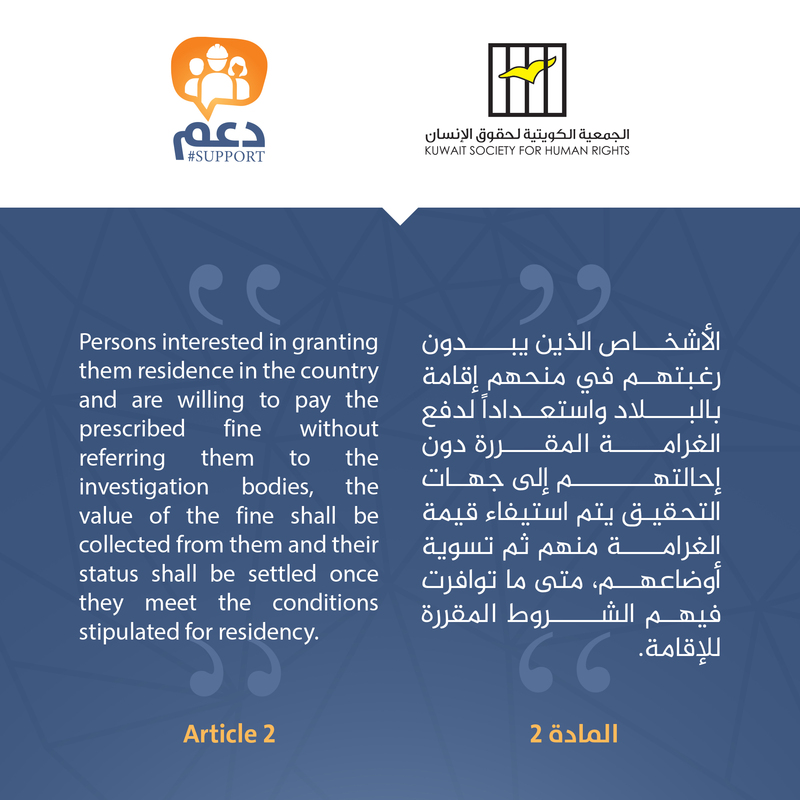 Article (2): Persons interested in granting them residence in the country and are willing to pay the prescribed fine without referring them to the investigation bodies, the value of the fine shall be collected from them and their status shall be settled once they meet the conditions stipulated for residency. Article (3): Any person who is caught within the period specified in Article (1) of this decision, in violation of the Foreigners’ Residence Law, shall be expelled directly from the country unless it is decided to deport him in accordance with the provisions of the law. 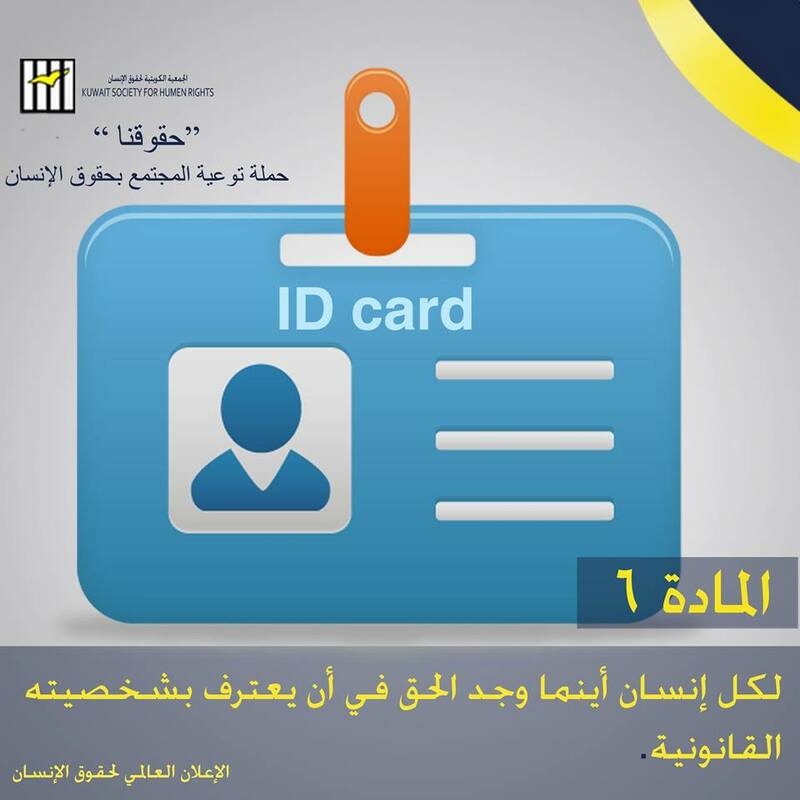 Article (4): Foreigners who violate the Foreigners’ Residence Law, and who have administrative or judicial impediments to leaving the country must submit to the General Directorate of Residence Affairs to consider the availability of the requirements for obtaining residence in accordance with the provisions and legal rules prescribed during the period referred to in Article (1) of this decision. Article (5): The foreigner who violates the law of residence of foreigners who leaves or exits the country during the period specified in Article (1) of this decision shall be exempted from the penalties or fines prescribed by the Amiri Decree No. (17/1959) and its executive bylaws. The provisions of this Article shall not apply to those who enter the country after the date of the issuance of this resolution or who are in breach after that date. Article 6: A foreigner who has left the country in accordance with the provisions of this Decree may return to it in accordance with the procedures prescribed by law unless prohibited from entry for other reasons. Article (7): Any violator of Foreigners’ Residency Law who does not leave the country within the period mentioned in Article (1) of this resolution will be subject to the penalties prescribed by law and will not be authorized to stay and shall be expelled from the country and is not allowed to return to it again. 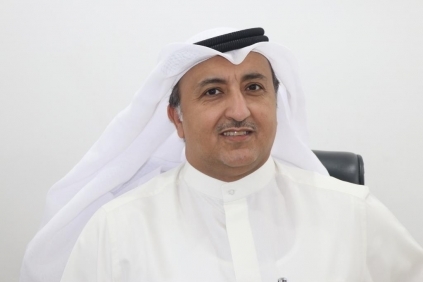 Mr. Khalid Mohammed Al-Ajmi, Chairman of the Kuwait Society for Human Rights, said that the decision of the Deputy Prime Minister and Minister of Interior Sheikh Khalid Al-Jarrah Al-Sabah to amend the status of violators of the residency law is a step in the right direction. He pointed out that the ministerial decision issued yesterday will serve many migrant workers in Kuwait, whether they were unable to obtain residency for personal reasons or those who were victims of their employers. "The Society appealed to the Minister of Interior to exempt the workers protesting in one of the known companies of fines calculated for violation of the law of residence, and that H.E. 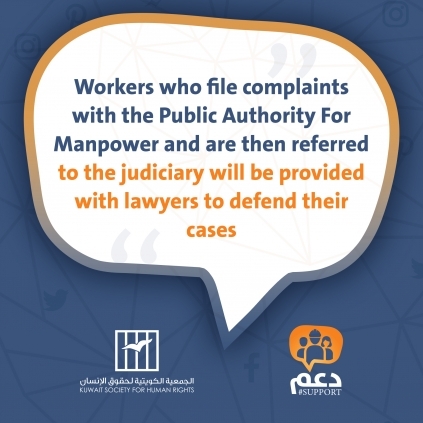 the Prime Minister and Minister of Interior responded to this appeal, and today is issuing a ministerial decision not only to modify the status of workers of the company, but all violators of the law of residency in Kuwait." Ajmi said. 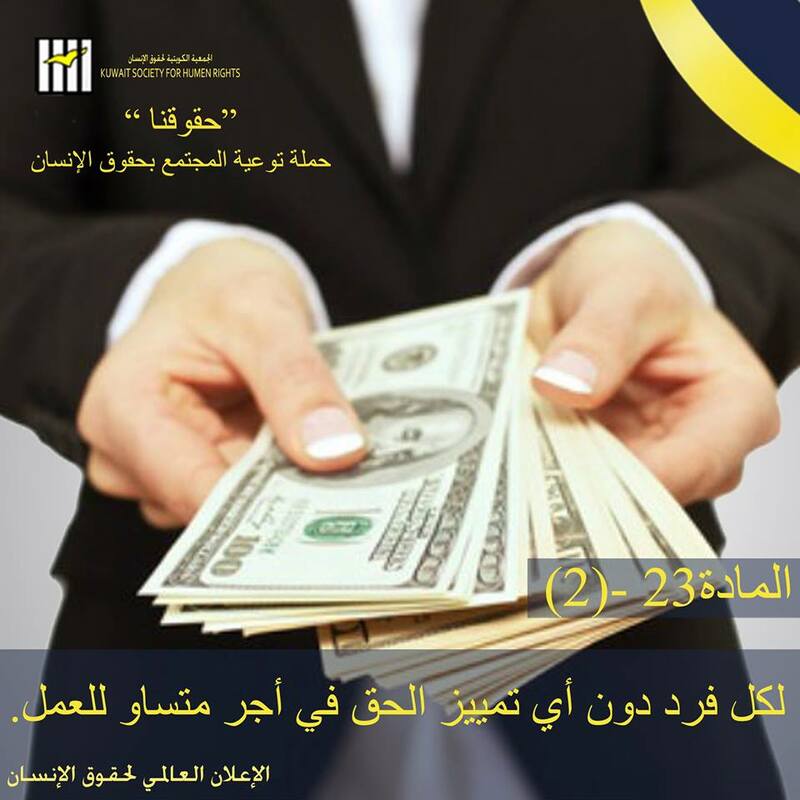 He called on violators of the law of residence to take advantage of this decision and modify their status or leave the country without paying fines and then return to it again to benefit from its services. قال السيد خالد محمد العجمي رئيس مجلس إدارة الجمعية الكويتية لحقوق الإنسان إن القرار الصادر عن معالي نائب رئيس مجلس الوزراء ووزير الداخلية الفريق الشيخ خالد الجراح الصباح بشأن تعديل وضع مُخالفي قانون الإقامة هو خطوة في الاتجاه السليم. وأشار إلى أن القرار الوزاري الصادر أمس، سيخدم عديد من العمالة المُهاجرة في الكويت، سواء الذين تعذّر عليهم الحصول على اقامة لأسباب شخصية أو أولئك الذين كانوا ضحية لأرباب عملهم. العجمي قال: "ناشدت الجمعية وزير الداخلية أن يتم اعفاء العُمّال المعتصمين في إحدى الشركات المعروفة من الغرامات المحسوبة عليهم الخاصة بمخالفة قانون الإقامة، واستجاب معالي رئيس مجلس الوزراء ووزير الداخلية لهذه المُناشدة، وها هو اليوم يُصدر قرار وزاري ليس فقط بتعديل وضع عُمّال الشركة، وإنما كل المُخالفين لقانون الإقامة في الكويت". 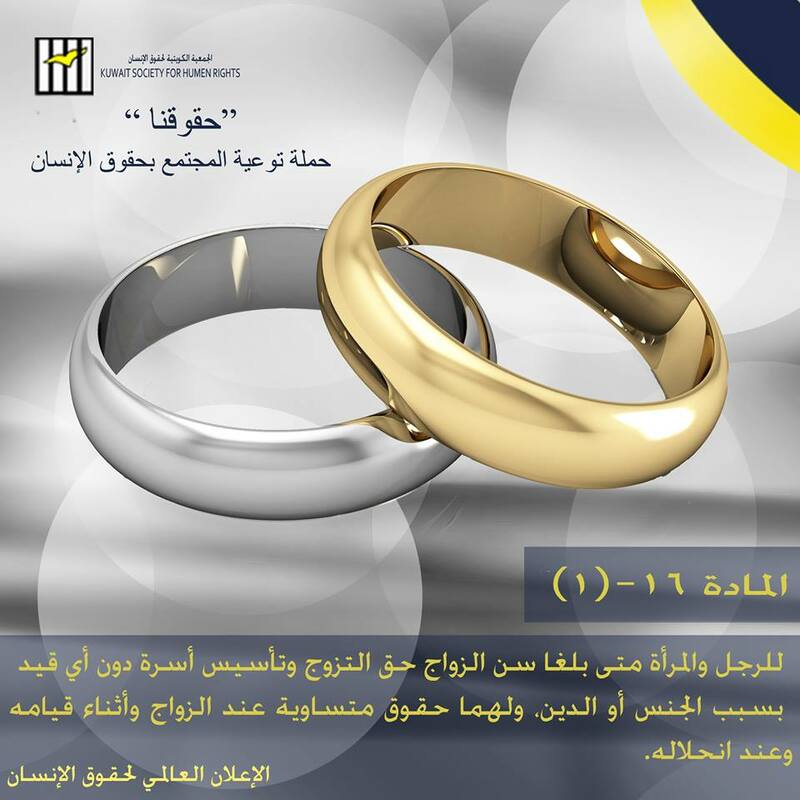 ودعا المخالفين لقانون الاقامة إلى الاستفادة من هذا القرار وتعديل وضعهم أو مغادرة البلاد دون دفع غرامات ثم العودة إليها مُجدّدًا ليتم الاستفادة من خدماته. 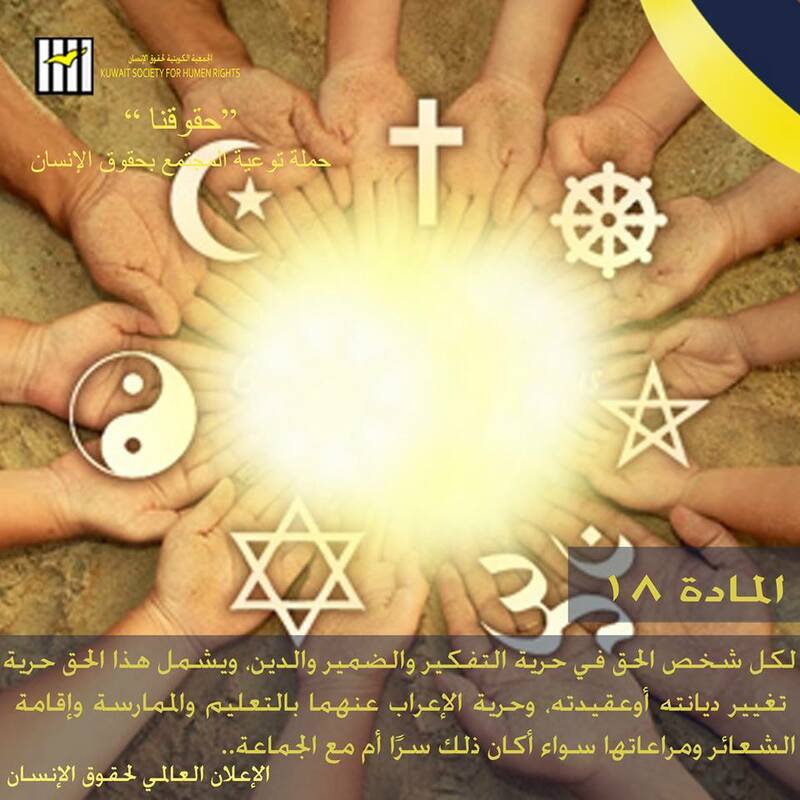 مادة (1) : مع عدم الاخلال بأوامر المنع من السفر الصادرة من السلطات المختصة قانوناً يتعين على كل أجنبي لا يحمل ترخيص بالإقامة أو انتهت إقامته أن يغادر البلاد خلال الفترة من 29/1/2018 حتى 22/2/2018 من أي منفذ من المنافذ المخصصة مباشرة وتتم الإجراءات بالمنافذ دون الحصول على موافقة أي جهة أخرى . مادة (2): الأشخاص الذين يبدون رغبتهم في منحهم إقامة بالبلاد واستعداداً لدفع الغرامة المقررة دون إحالتهم إلى جهات التحقيق يتم استيفاء قيمة الغرامة منهم ثم تسوية أوضاعهم، متى ما توافرت فيهم الشروط المقررة للإقامة. 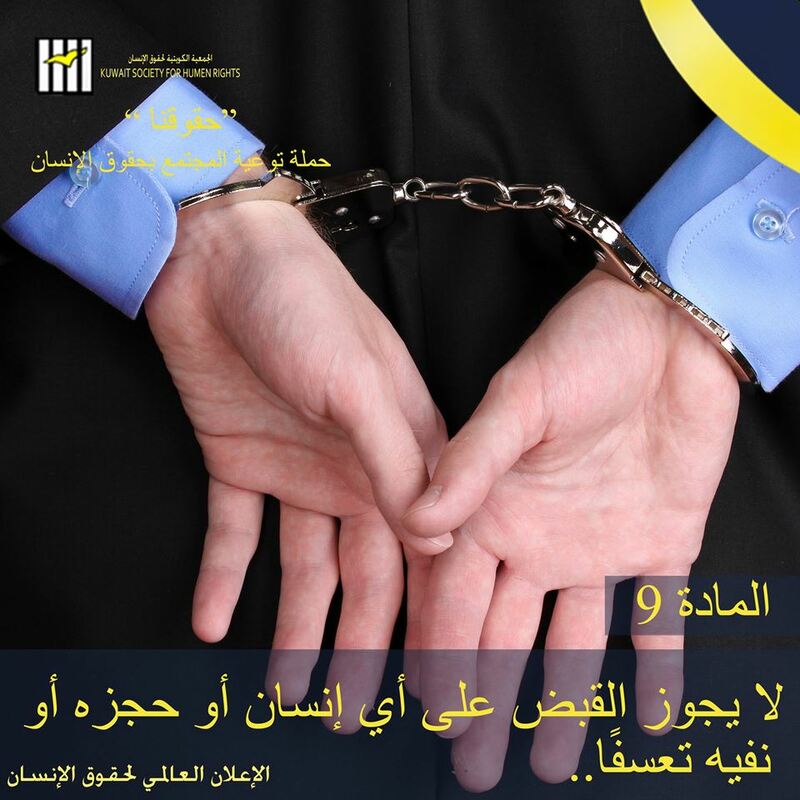 مادة (3): كل من يتم ضبطه اثناء المهلة المذكورة بالمادة رقم(1) من هذا القرار مخالفاً لقانون إقامة الأجانب يتم إخراجه مباشرة من البلاد مالم يتقرر ابعاده وفقاً لأحكام القانون. 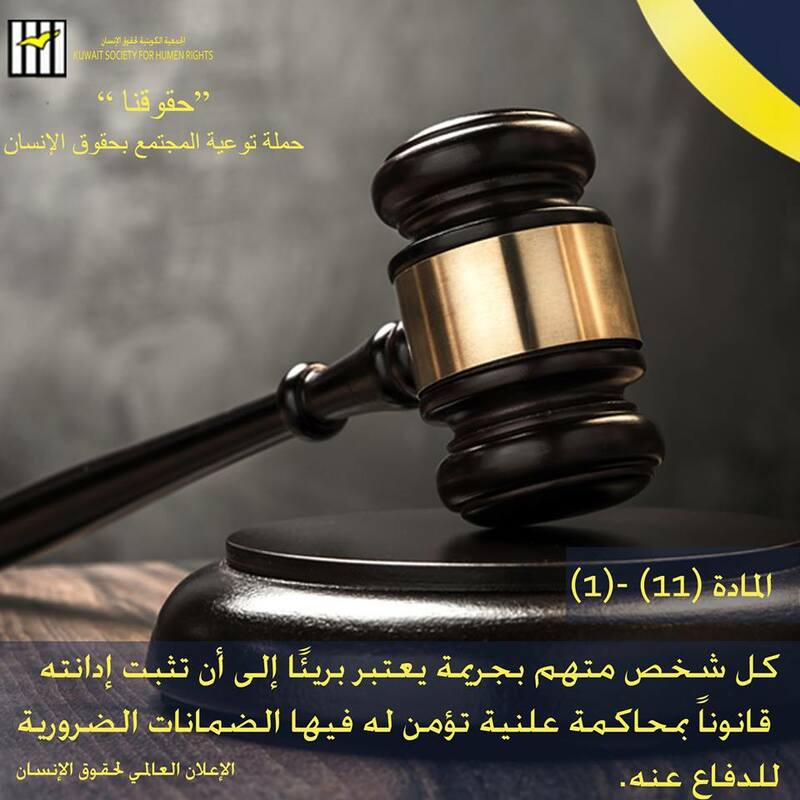 مادة (4): الأجانب المخالفين لقانون إقامة الأجانب الذين لديهم عوائق إدارية أو قضائية تحول دون مغادرتهم البلاد يتعين عليهم التقدم إلى الإدارة العامة لشئون الإقامة لبحث توفير اشتراطات الحصول على الإقامة وفقاً للأحكام والقواعد القانونية المقررة خلال المدة المشار إليها بالمادة رقم (1) من هذا القرار. 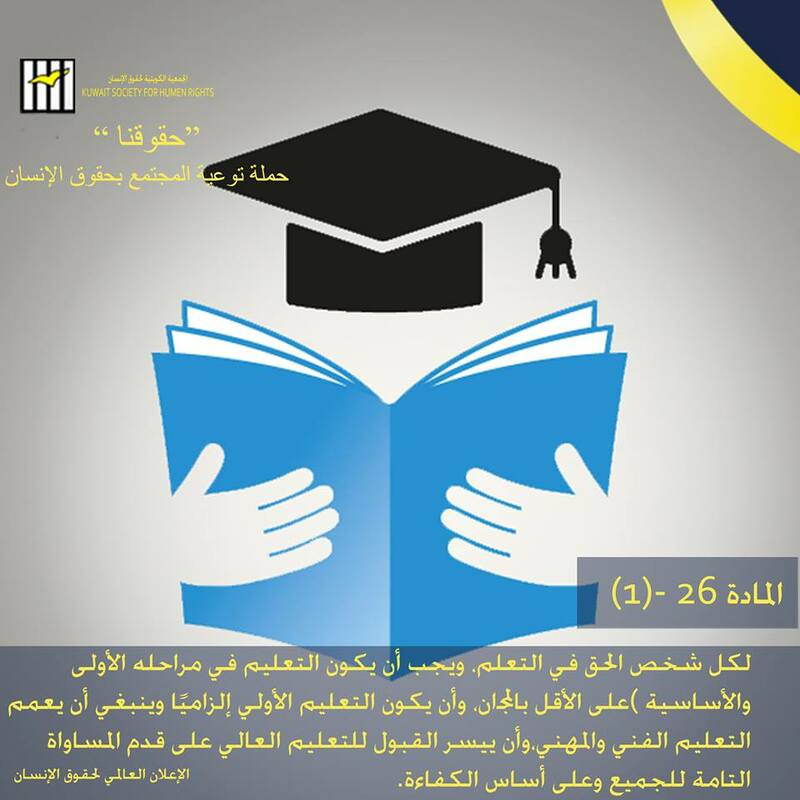 مادة (5): يعفى الأجنبي المخالف لقانون إقامة الأجانب الذي يغادر البلاد أو يخرج منها خلال المدة المحددة بالمادة رقم (1) من هذا القرار من العقوبات أو الغرامات المقررة بالمرسوم الأميري رقم (17/1959) المشار إليه والقرارات المنفذة له. ولا يسري حكم هذه المادة على الذين يدخلون البلاد بعد تاريخ صدور هذا القرار أو الذين يخالفون بعد هذا التاريخ. 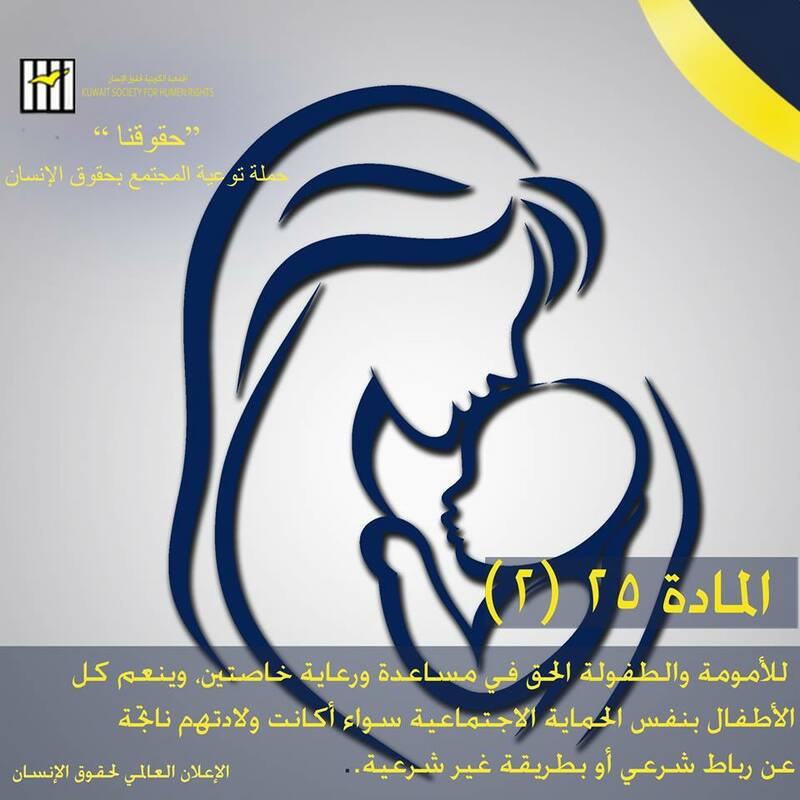 مادة (6): يجوز للأجنبي الذي غادر البلاد وفقاً لأحكام هذا القرار العودة إليها مرة أخرى، وذلك وفقاً للإجراءات المقررة قانوناً مالم يكن ممنوعا لسبب أخر. 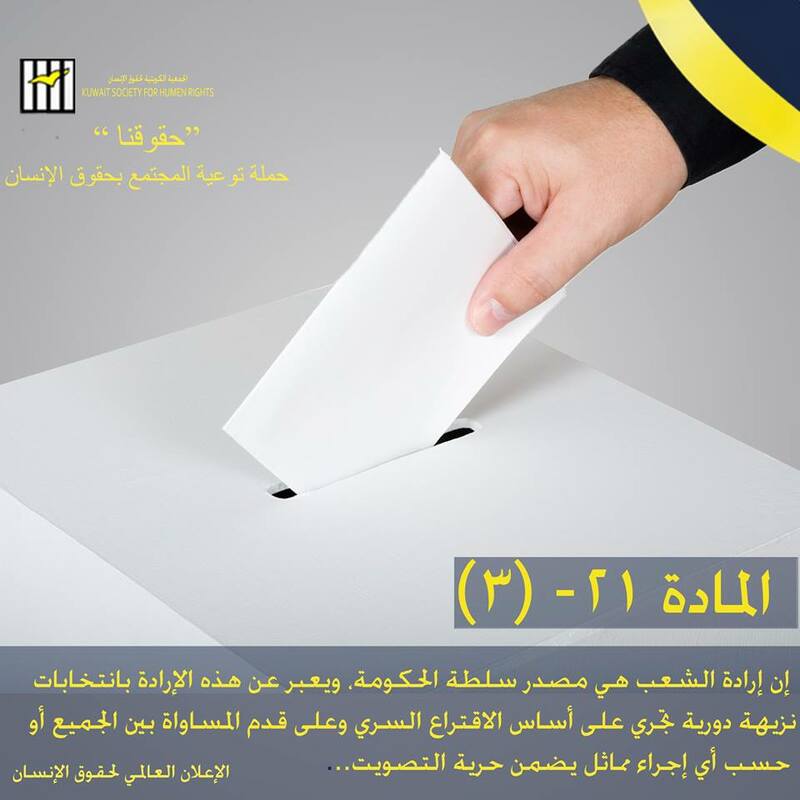 مادة (7): من لم يغادر البلاد من المخالفين لقانون إقامة الأجانب خلال المهلة المذكورة بالمادة رقم (1) من هذا القرار سوف توقع عليه العقوبات المقررة قانوناً ولن يتم الترخيص له بالإقامة ويتم أبعاده عن البلاد ولا يسمح له بالعودة اليها مرة أخرى. 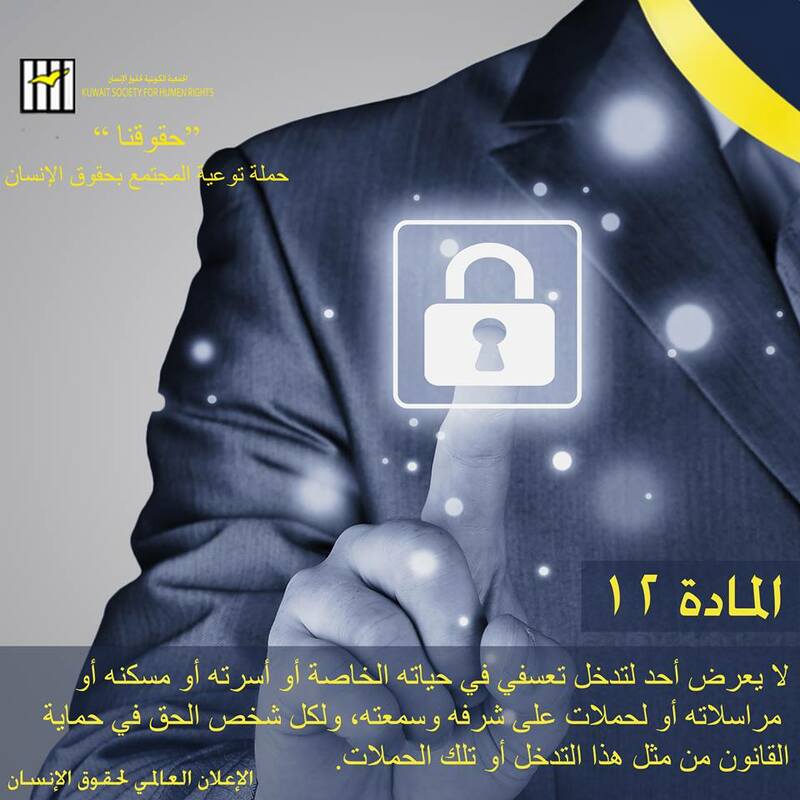 هذا وتعمل الجمعية الكويتية لحقوق الإنسان على تنفيذ مشروع يهتم بالتوعية القانونية للعمالة المُهاجرة في الكويت وتتكفّل بتوفير محامين للعُمّال أصحاب الشكاوى والترافع عنهم بشكل مجاني، وذلك ضمن مشروع دعم الذي يأتي برعاية فخرية من السيد حسن كاظم محمد الوكيل المساعد للتنمية الاجتماعية بوزارة الشئون الاجتماعية. 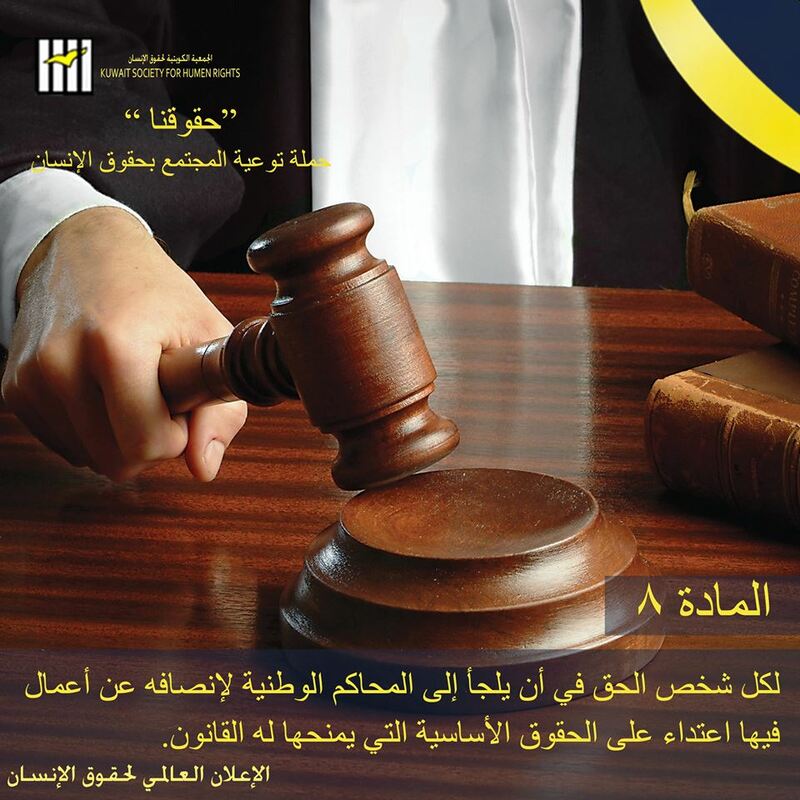 Mr. Khalid Al-Ajmi, Chairman of the board of Kuwait Society for Human Rights, said that the Kuwait Society for Human Rights (KSHR) has contracted with attorneys to attend legal proceedings in labor courts and directly represent the workers and defend their cases for free. 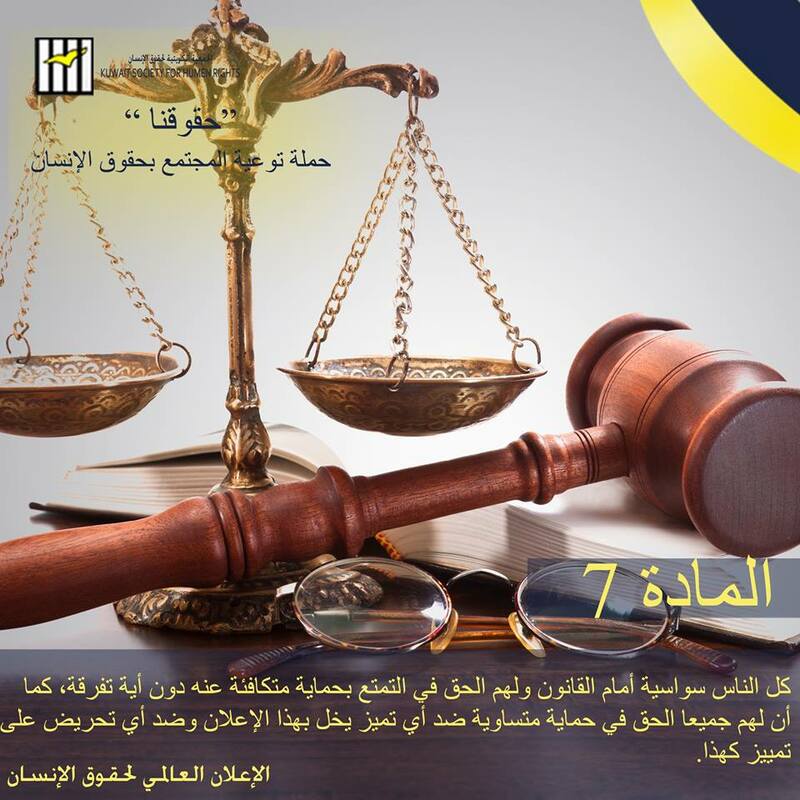 Al-Ajmi pointed out that workers who file complaints with the Public Authority For Manpower (PAM) and are then referred to the judiciary will be provided with lawyers to defend their cases if they can't afford to pay for a lawyer in case that they receive monthly salary not more than 100 Kuwaiti dinar or if the complaint requires direct legal representation in courts. KSHR will also receive some cases through the hotline service if the case involves direct violation of the workers' rights. "Centers of PAM resolve problems through negotiations but they don't provide lawyers when some complaints are referred to the judiciary. Many complaints have been referred to the labor courts. Last year, PAM received a total of 11071 complaints related to workers' financial dues and referred 6936 (62.6%) complaints of them to the judiciary," he added. 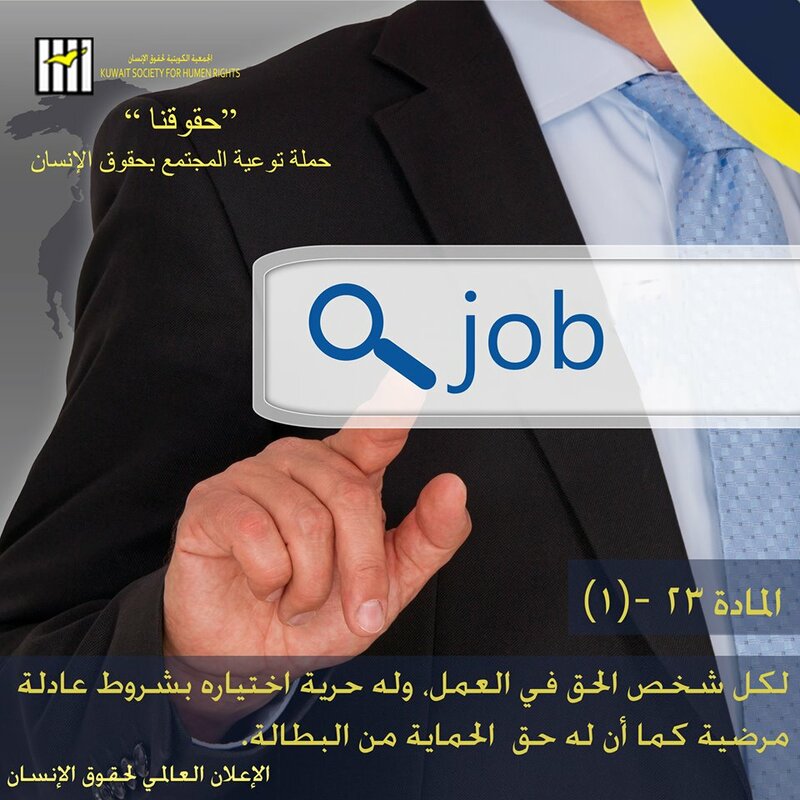 Al-Ajmi indicated that the really high costs of hiring attorneys hinder ordinary workers from obtaining their rights, not to mention the prolonged litigation that can take several years, both for citizens or migrant workers. 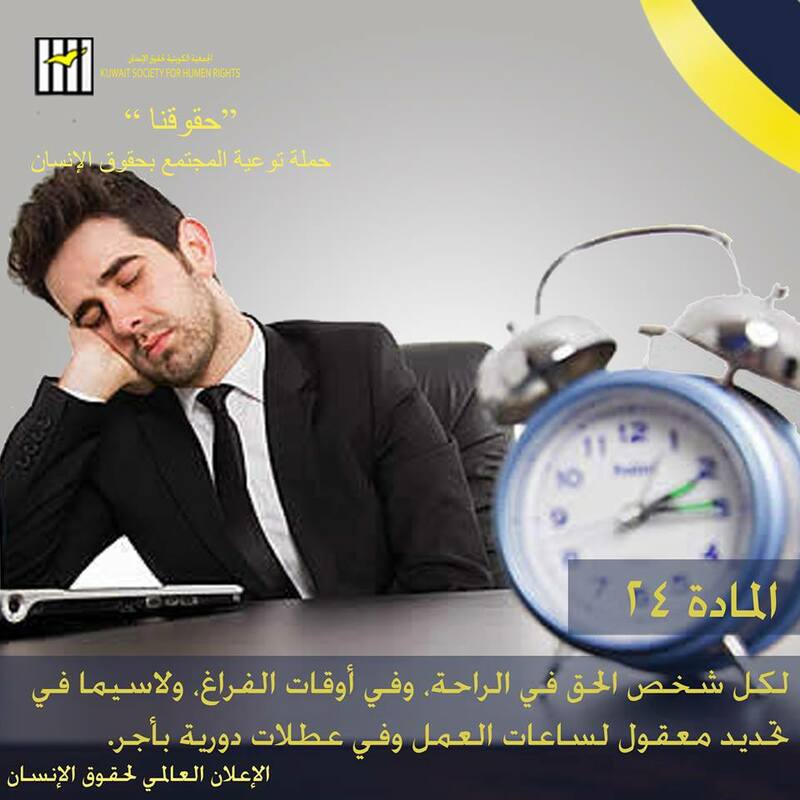 The residency period of some complainants ends during this long period, and they become unable to renew their residency. So, they resort to violate the conditions of residency which force them not to seek judicial redress, or are being arbitrarily deported without getting their rights. 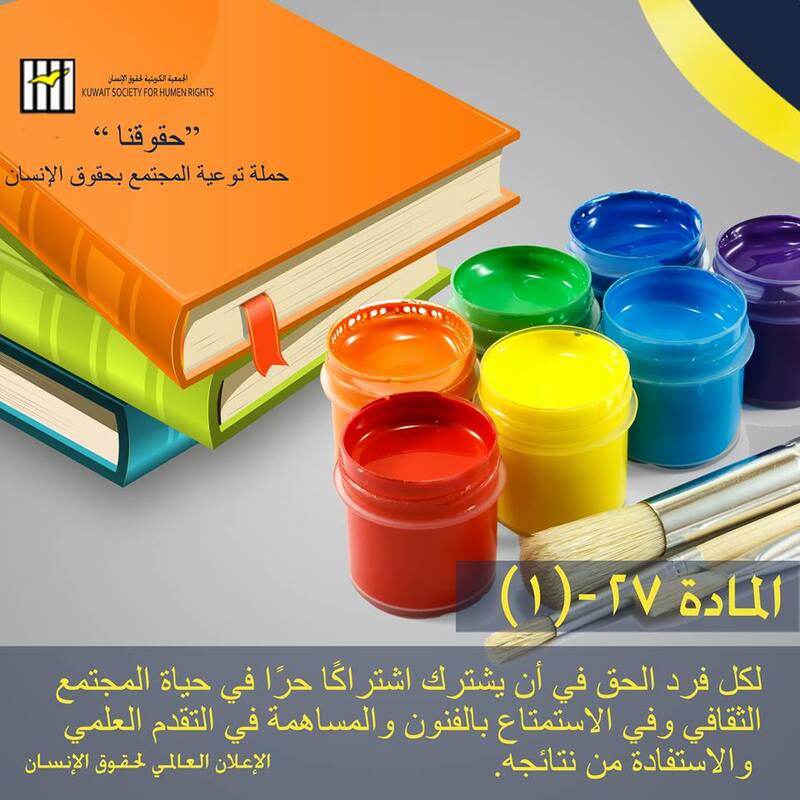 This service activity is part of the "Support" Project that aims to provide legal protection for migrant workers in Kuwait. 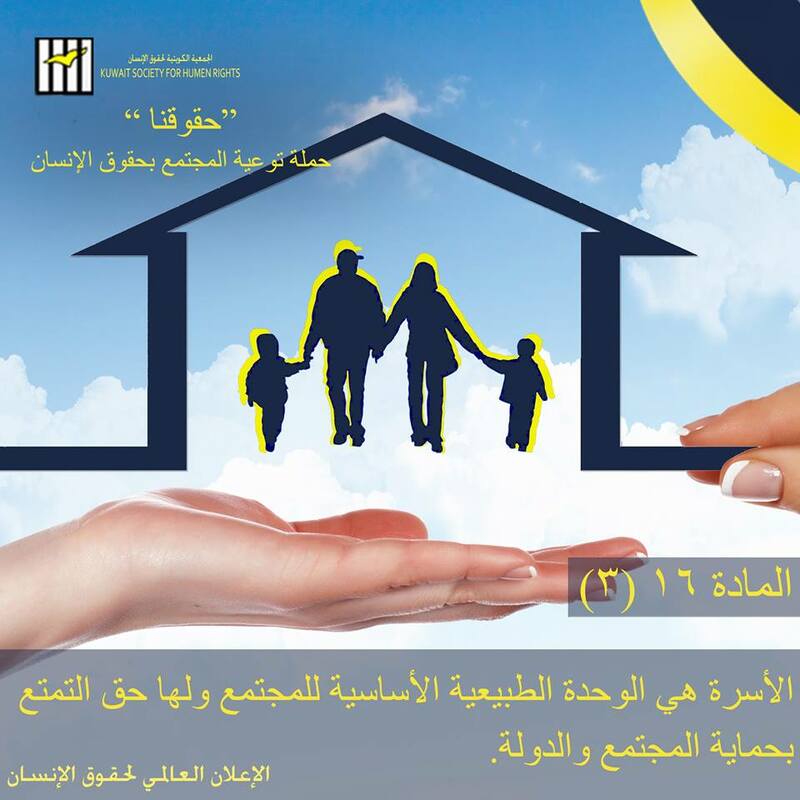 KSHR implements this project in collaboration with the Swiss Agency for Development and Cooperation (SDC) and PAM, under the honorary auspices of Mr. Hassan Kazem Mohammed, Assistant Undersecretary for Development Affairs in the Ministry of Social Affairs. 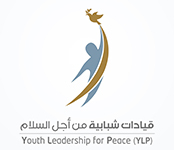 The project is implemented in six languages: English, French, Hindi, Urdu, Filipino and Arabic. A team of lawyers has been selected in accordance with certain criteria related to having skills and expertise in workers' cases, as well as tendency to defend human rights. 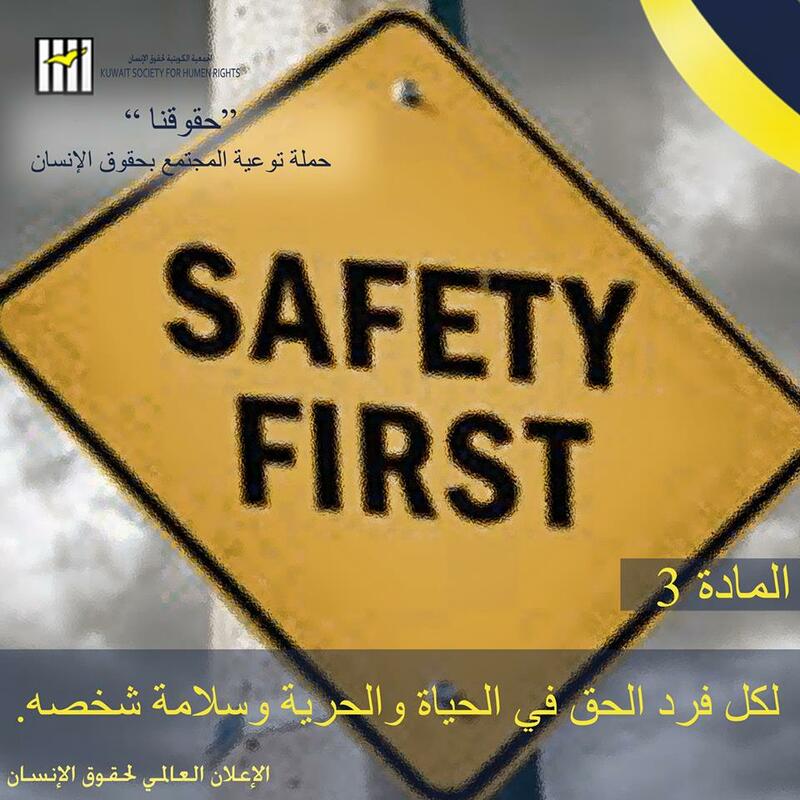 KSHR started implementing this activity at the beginning of 2018, while continuing receive the inquiries and complaints of workers at the hotline number 22215150 both in Arabic and English and also through the e-platform: http://togetherkw.org.